California Baptist University’s theater production of Stephen Sondheim’s “Into The Woods” offered students and audience members an escape from the stresses of life, or in the cases of college students, final exams and projects that are just around the corner. In a world where stress and anxiety seem to be a more prominent part of mainstream culture, going back to childhood dreams of fairytales when life was easier can be the perfect fix. princes of Cinderella and Rapunzel. Each of these cast members worked hard on their performances and brought those classic fairytale characters we all know to life. However, the real star of the night was the Witch from Rapunzel, played by Julie Ann Oleson, junior theater major, who served as the show’s villain. 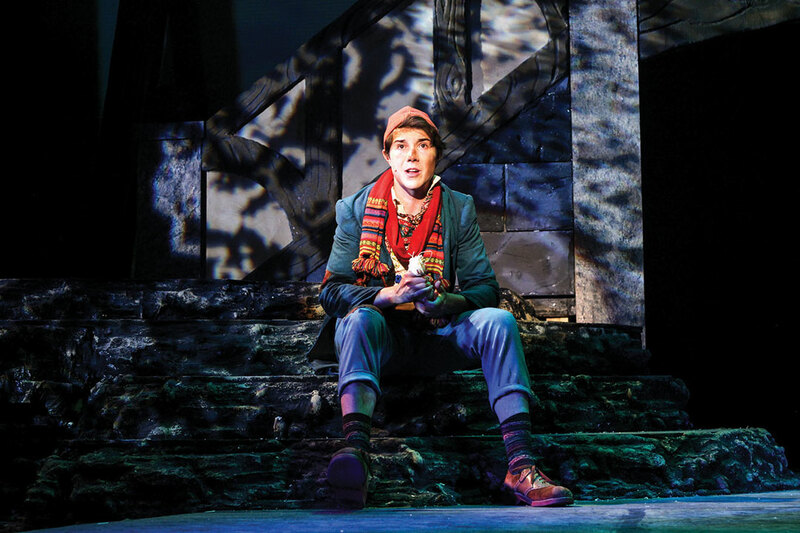 The musical revolves around the characters walking into the woods for various reasons. In the case of the Baker, played by Ethan Park, senior theater major, and thr Baker’s wife, played by Ashley Essex, junior theater major, the two are collecting the ingredients the Witch requested to lift the curse on the Baker that prevents him from having children. From the beginning, Oleson stole the show. Dressed in a cloak and mask, she terrorized the Baker and his wife, convincingly portraying the Witch. While technically the audience knew this was just a character in a story, Oleson’s deep alto voice mixed with the higher voice of Katie Kostecka, senior journalism & new media and theater double major, Rapunzel the perfect blend of light versus dark. Another stand out of the night was Mark McMillan, junior theater major, and his portrayal of both roles as the Wolf from Little Red Riding Hood and Cinderella’s prince, both roles differed significantly but also shared a similarity of being flamboyant, a trait most actors choose to show in both characters. 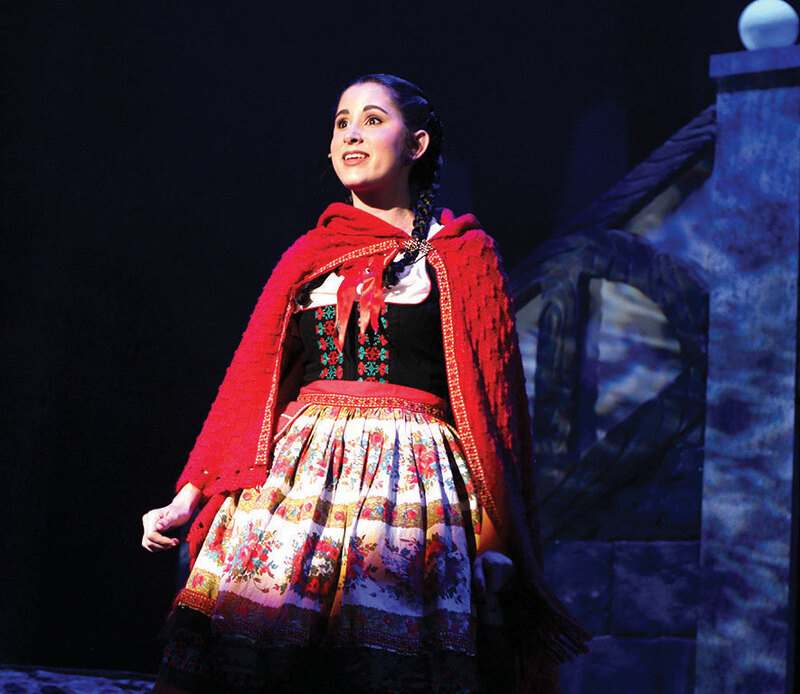 The final standout was Maddison Rickard, senior theater major, who portrayed Little Red Riding Hood. Other highlights of the night were the duet by the Princes with their song “Agony,” which offered comic relief to the show, Jack’s song “Giants in the Sky,” which he sang when he came back down from his giant beanstalk and the first act’s finale “Ever After,” which was a song about how everything was finally going well for them going into Act II. The remaining dates of the show are April 20 and 21 at 7:30 p.m. and a matinee at 2 p.m. at Wallace’s Book of Life Theatre.